“Libre” también es el título de su nuevo sencillo y video. MIAMI (12 de abril, 2019) – La galardonada cantante y compositora cubana Diana Fuentes lanza hoy Libre, el tercer álbum de su trayectoria, junto con el sencillo y video que dan título al disco. Todo este nuevo material se encuentra disponible en las principales plataformas de música digital a través de Sony Music Latin. El álbum, producido por el ganador del GRAMMY® y Latin GRAMMY® Eduardo Cabra, nos presenta además colaboraciones con importantes artistas de la escena musical latinoamericana como el brasileño Seu Jorge y el dominicanoVicente García, así como la participación de importantes músicos y arreglistas legendarios como el saxofonista cubano César López. 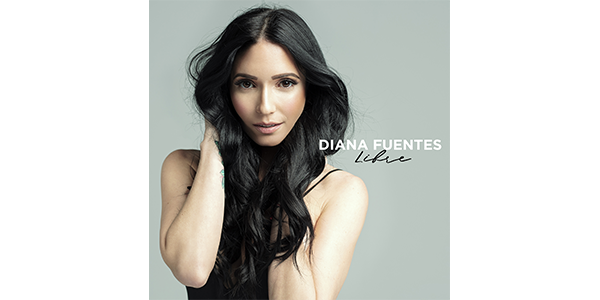 MIAMI (April 12, 2019) – The acclaimed Cuban singer and songwriter Diana Fuentes today releases her third solo albumLibre, along with the title-track single and video. This new material is available today on all digital-music platforms fromSony Music Latin. “Libre” is a comforting song that speaks to everyone who’s going through a life change. Tender and timeless, the lyrics of “Libre” will motivate its listeners. As the verse (in Spanish) says: “Today I went looking for an exit, I don’t want sad memories, nor anything that wilts, just a message of love that says…‘free.’” Giving a bittersweet touch to this lovely song is the vallenato-styled accordion. Directed by the talented Cuban Yeandro Tamayo, the music video portrays street scenes from Diana’s native Havana and includes a cameo from her grandmother, Aurora. Produced by the multiple GRAMMY® and Latin GRAMMY® winner Eduardo Cabra, Libre also features creative collaborations with the Brazilian great Seu Jorge, the Dominican singer and songwriter Vicente García, and the Cuban sax legend César López. Libre is a family affair, with important songwriting contributions from her mother, Mirta Lavastida. Diana Fuentes is convinced that family support has been key to her growth. We got a preview of Libre in 2017, with two singles that are included on the album – “La Fortuna,” featuring the Puerto Rican singer-songwriter Tommy Torres, and “La Vida Me Cambió,” featuring the Cuban duo Gente De Zona. These songs became low-key treasures, discovered by enough listeners to chart at #29 on Billboard’s Latin Pop Songs and #10 on Tropical Songs, respectively. Even better, “La Fortuna” was nominated for Song of the Year at the 2017 Latin GRAMMYs®. Her first two solo albums, Amargo Pero Dulce (Bitter But Sweet, 2008) and Planeta Planetario (Planet Planetarium, 2014), were discovered by dedicated music lovers and were critically acclaimed. Now, this Miami-based singer is expanding her reach with Libre, her most complete album to date.